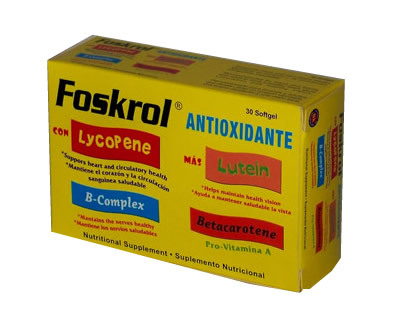 30 capsules with lycopene, lutein, b-complex and betacarotene. Suppors heart and circulatory health, helps to maintain health vision, mantains the nerves healthy. Recommended for youngs and adults. This product was added to our catalog on Sunday 24 October, 2010.